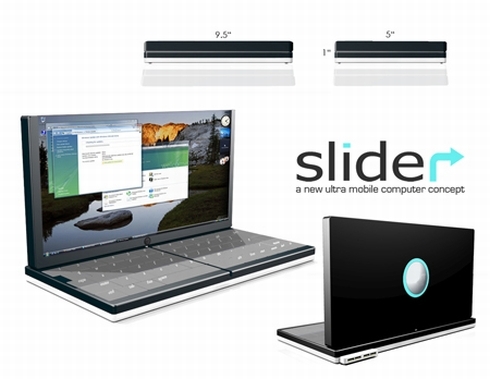 Slider is an ultra mobile computer concept that’s got all the specs you need to take your work on the road, at all times. Created by designer Sean Bovee, this device comes with a 9 inch touchscreen display, a full QWERTY keyboard that’s unveiled by flipping the screen and much more. Slider supports mobile video streaming, that’s lag-free and it also comes with VoIP video chat, 1GB of RAM memory and a 1.5GHz processor. 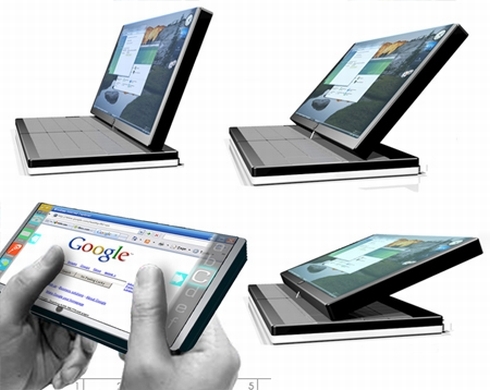 I’m really curious to see how resilient the hinge of this device will be, in case it becomes real. Another issue is the battery life, since the device can only operate for 4 to 7 hours. 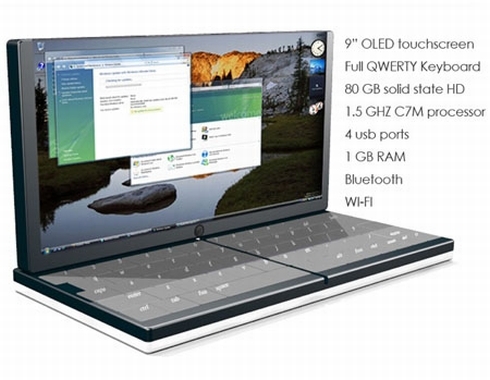 The above-mentioned screen is an OLED one and you should know that the mobile computer’s specs list also includes, Bluetooth, WiFi, 4 USB ports and an 80GB SSD.